Participating in forums and blogging is of great help when it comes to boosting your search engine rankings. It has now become an integral part of almost every company’s marketing strategy today. 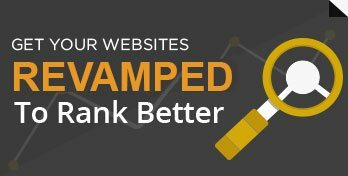 With some assistance from blogs, you can significantly boost the ranking of your website quickly and much ahead of any other competitor website. While the main objective behind your blog could be to express your thoughts, establish a bridge with your customers and create a platform to market your product or services, there is another significant aspect to blogging – Search Engine Marketing. Search engines give considerable importance to content. It’s the freshness and uniqueness of content that a search engine looks for while crawling through blogs. The most unnoticed element of a blog is that once you have formed a pattern of posting and you have the Googlebot coming to your site every few days, you can then use that to link to other sites, sub-domains or any deep links. Many blogs do not have direct links to other sites, but you can always put some permanent links on your blog. At Search Eccentric, we help optimize the content on your blog. Taking into consideration that most blogs only have the tabs “home” page and the “archive” page however depending on the tool being utilized for posting the blog, there are certain places in a blog with content where you can take the benefit of search engine optimization. We take blog title more as a headline, something that captures the attention of readers. At the same time, we would ensure that your blog title can get archived too so that it can become a search query as well. Web forums can also offer many of the same benefits to your business as social networks. You’ve got profile pages, private messages, and public conversation. Like social networks, there are a variety of ways your business can benefit from forum participation. While the main goal behind blogging and forum participation is to get your message out, we would bring into practice unique concepts of Search Engine Optimization through which you yourself would notice your efforts to payoff in the long run.